When you decide you need to rent a storage unit, the first questions that come to mind are usually “how far will I have to go” and “whose truck I can borrow to get my stuff there.” With X-Shed™, all you have to ask is: “how fast can I get it.” X-Shed™ will deliver a storage unit to residential homes within 48 hours. 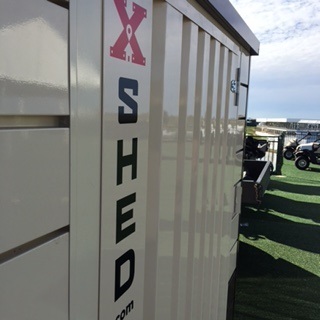 For commercial customers, orders placed before 5 pm will have your X-Shed™ delivered on the spot the very next day, guaranteed. Standard delivery range is within 30 miles of the nearest X-Shed™ location. Anything outside the 30 mile range will be charged an additional $2.00 per mile on both the delivery and pickup fees. *Delivery and Pickup fees are charged with the first month’s rent. Call to order your X-Shed™ today! © XShed.com | All Rights Reserved.